A decent size winter chinook from this week. Well it is November and the cool winter weather is starting to arrive with even some snow in the forecast for some regions. 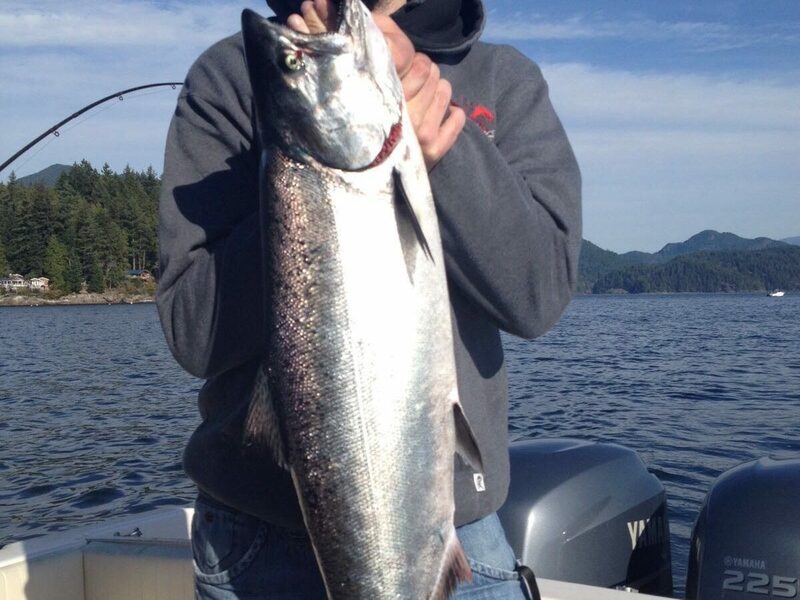 So when it feels like winter some get the skis ready but for us that means winter chinook season has finally arrived! In last weeks email I alluded to the fact that so far so good, with some early season success. That trend has continued for the most part, with our charters this past week picking up some nice chinook in the Howe Sound area. There have also been some good reports from South Bowen, Vancouver Harbour, Nanaimo, Gabriola, and Galliano areas. 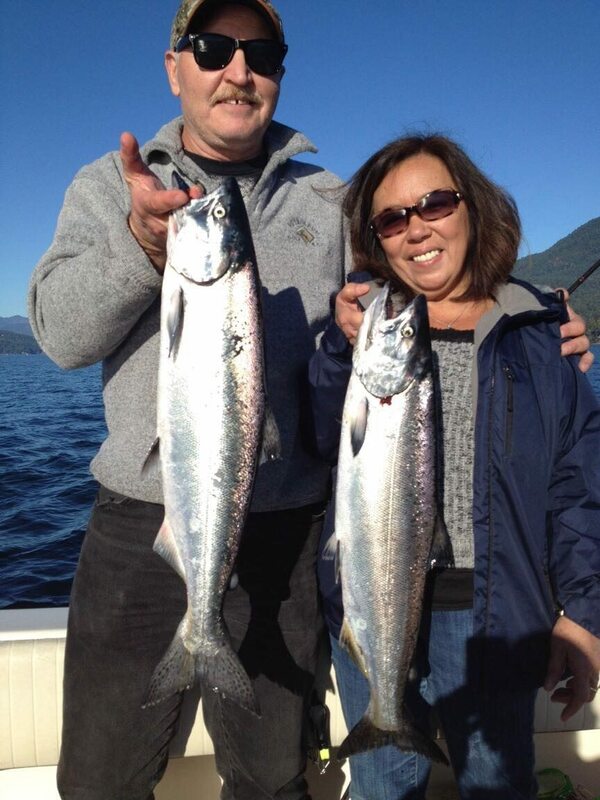 A couple of nice early winter chinook from a charter last weekend. If you have read my winter chinook reports from previous seasons, or perhaps taken one of my courses, you will know that when it comes to this season, don’t wait for the report. If you have the time off or the conditions are good, simply go. These fish move around a lot and they are literally here one day and gone the next so even a report from the day before doesn’t mean too much, if anything it just gives you some confidence there are some fish around. It is also a long season. It starts around now and ends around April and is highly variable as the fish and the bait move around all winter long. So from now until April you are going there will be reports of fish in the Howe Sound area, South Bowen, West Van, The Freighters, Nanaimo all the way down to the Gulf Islands, and also at the Coal Ports (although this area closes Jan 1). So get the coffee nice and hot, grab your toques and gloves, and head out there and get some of the tastiest fish of the season. When it comes to technique, for the most part these fish are close to the bottom, so keep your gear within a few feet of the bottom and you will do well. That means you are fishing pretty deep, usually 120 to 220 feet depending on the spot and that is why flashers with some glow on them as well as spoons with some glow on them work well. 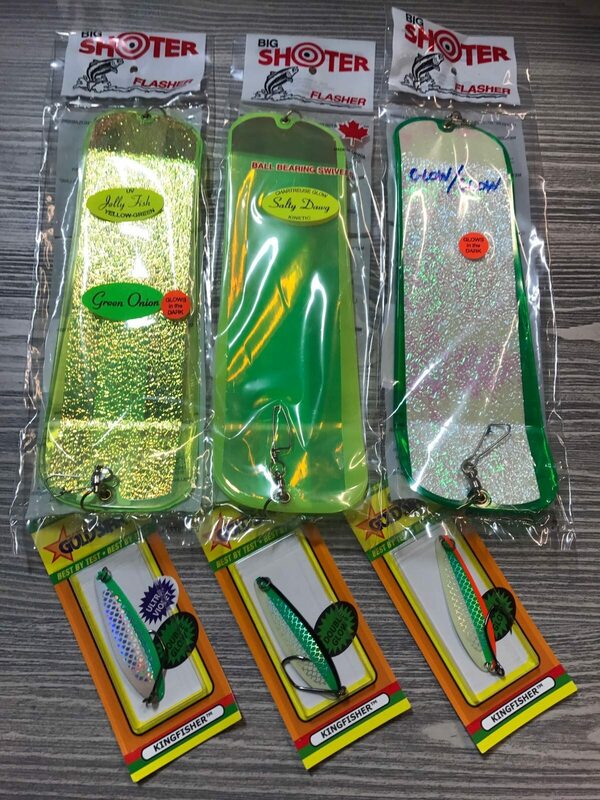 These are some go to flashers and spoons for winter chinook. Flashers from left to right, Green Onion Glow, Salty Dawg, Double Glow. Kingfisher 3.5 Spoons from left to right, Irish Cream, Kitchen Sink, Homeland. We plan on heading out this weekend if it is not too windy, so see you out there or see you in the shop.